Vacation rental house. 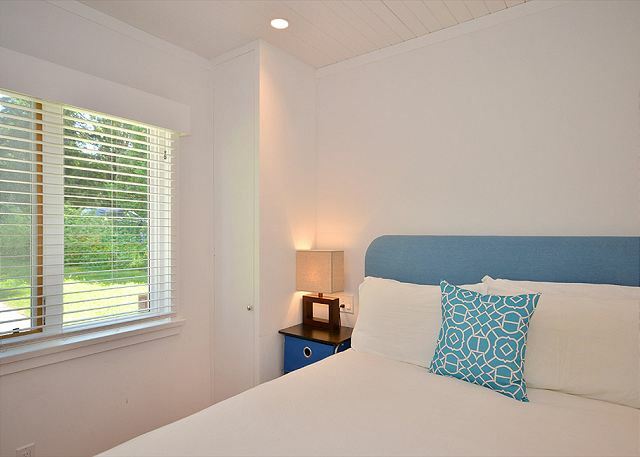 Sleeps 10, 5 bedrooms, 3 bathrooms. Dogs allowed. 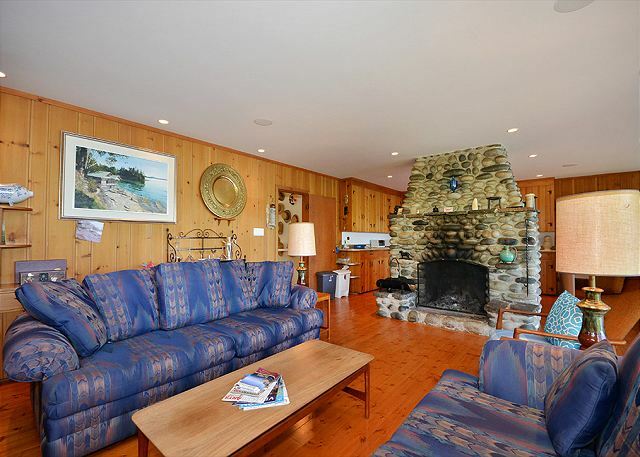 Pendray House is located on a no-through road, there is very little traffic which sets the scene for the peace and quiet you can enjoy while on vacation. 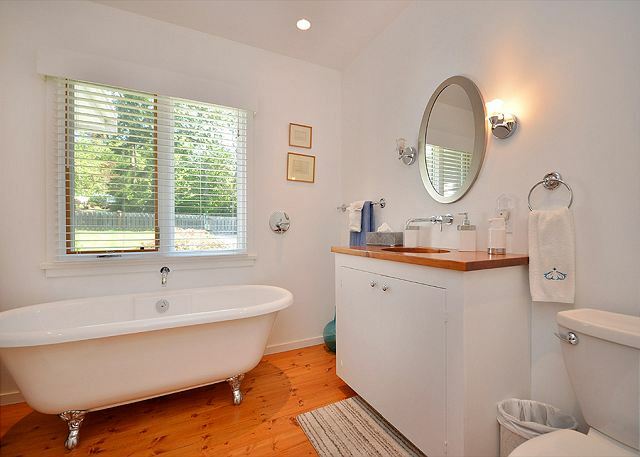 The house is two levels and was built in 1948, it has just undergone a complete renovation to bring up to the 21st Century, yet still retaining the traditional beach cottage feel. A path leads up to the front door which gives you first sight of the sea and the views you will enjoy during your stay. Walk through the entrance hall and into the open plan living area. This area covers the living room, dining room and the kitchen all with great views of the ocean. There is a feature fireplace made from river rock from the Fraser River, the original owners in 1948 hired their children to collect the stones and were given 1 cent per stone each. The living room features two sofas, the fireplace, a wide screen television and integrated HIFI system which has speakers in the living areas. The dining area has a large table next to the kitchen with spectacular views of the sea for you and your family can enjoy while sharing a meal. 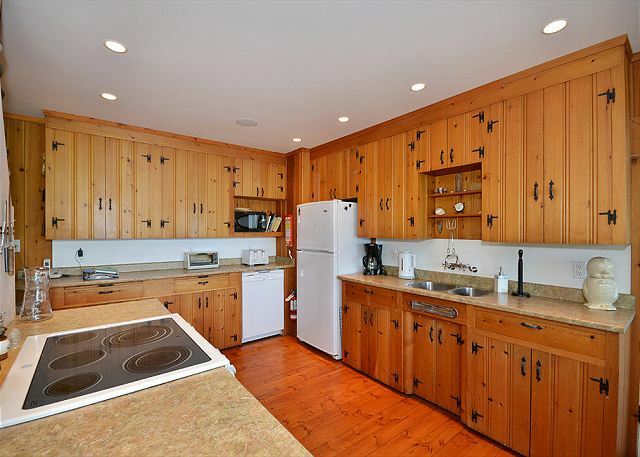 There is a large kitchen with all modern cooking amenities ready for those chefs among you. On the main floor there is three queen bedrooms, the master bedroom includes an ensuite while the other two bedrooms share a large bathroom featuring a claw foot tub and walk-in shower. Please come and enjoy the Pendray House and make your next great family vacation here on the west coast of Vancouver Island in beautiful British Columbia a memorable one. We found the home to be very comfortable and well cared for. The view of water and access were good...stairs might need a little help in the future. Its secluded and yet you're close to Sydney and Victoria is only a short drive away. We enjoyed out time. We were surprised we had to supply our own toilet paper and paper towels. Unusual. What a wonderfulway to spend 6 weeks of winter surrounded by the natural beauty of this area. It was truly magical. Thank you Candice at EMR Rentals>. Overall, we were satisfied with our vacation rental. However, there are some simple things the owners can do to improve their guests stay. I would highly recommend using an unsented laundry product (the bedding was almost unusable because of the strong smell of laundry products). Our greeter mentioned the BBQ probably doesn't work, so we didn't even attempt to use it for our salmon. Please just get a new one! Coffee maker works, but the filters were for a different type of coffee machine. Duh! Loved the outdoor furniture and the deck down by the water. The livingroom sofas were very uncomfortable, maybe invest in some new ones. The bathrooms were very clean and nicely done and we loved the diningroom table overlooking the water. A big thankyou to our greeter for bringing a blender for us to use for smoothies! Our 3 generations of family had such a wonderful stay at Pendray house. The home was clean and cozy and had everything that we needed for our 2 week vacation. We loved hearing about the history of the home and talking to the neighbours about the beautiful surrounding area. We beach combed, canoed (supplied our own), wandered the quite neighbourhood and basked in the magical view. It was wonderful to be able to bring our four legged family member along with us too. Although we come from different parts of the world we definitely hope to be back one day to add to the amazing memories made. The location of this property was absolutely amazing. Your own private little beach area where you can walk or swim!! It was very quiet and relaxing. The house was set up perfectly and we had lots of room!! We will definitely look at staying again! Thank you!!! Our group consisted of 9 people, ages 5 to 70, for a family get together of 4 different households. I had never rented a vacation home before so it was a new experience. It was an easy process. The staff was very helpful. Our greeter was helpful in directing us to a place to eat & a grocery store that first night. We had an issue with the BBQ girl. It was quickly resolved. We enjoyed ourselves we decided we need to do family get together more regularly & would certainly prefer Pendray House if we return to the area and use EMR if looking elsewhere. A lovely home for a family gathering weekend, with children and grandchildren. 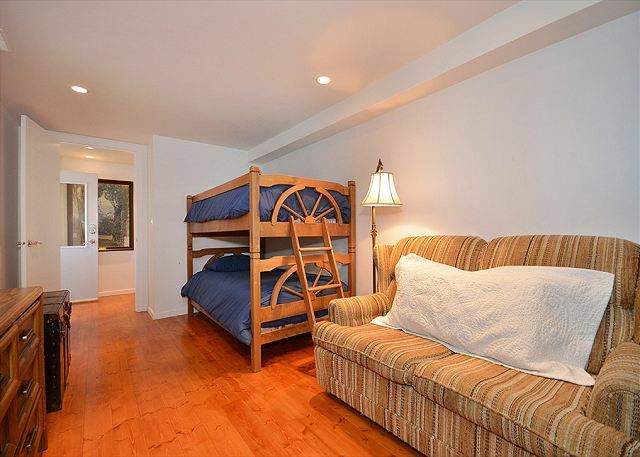 Kids in particular love Pendray for the tidal pools and the bunk bed rooms. We will continue to come back regularly. Thank you for your kind review of Pendray House. It is a great property to spend time with family. Bunk beds are always fun.... and the tidal pools make for a fun day in the water. We look forward to having you stay with us again in the future! a guest from Vancouver, BC does not recommend this vacation rental. 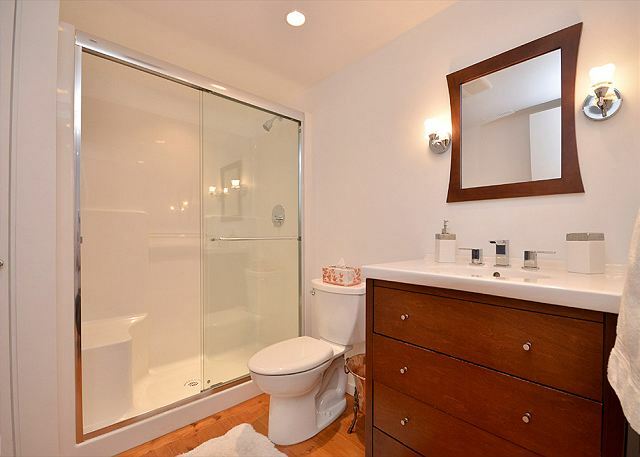 The property was absolutely gorgeous, well appointed, and spotless. It was a perfect rental for our group of three young families. We travel every year together, always booking through the two big vacation rental sites. HOWEVER. The rental company pestered us so often from booking through to access to the unit that we would NOT recommend booking this place. I have 42 emails in my exchange with this company. We had to provide our credit card number FOUR times AFTER booking through the rental site. We had to arrange to meet a greeter onsite on arrival, rather than use a code for the door, which they HAD but did not provide for us. Instead, we had ONE key to share amongst three families. All of the parties we encountered were very friendly, but it is completely unnecessary in 2018 to have to have this much interaction for a vacation rental. I've booked dozens of places on VRBO and Airbnb and the amount of interaction with this particular company was more than all the others COMBINED. They also used a combination of signed and scanned forms, website forms from multiple sites, which seemed very disorganized. I was a bit skeptical that the rental would actually work out, so I was pleased when our friends arrived and there was actually a greeter there. To summarize: gorgeous property that is horribly managed by seemingly nice people that have no clue how vacation rentals work in this decade. I'd be happy to book again if the owners decided to use the VRBO or Airbnb platform as they're meant to be used - it would be 100x simpler, easier, and likely less expensive for them. everything about this house was perfect.....except the BBQ. i was hosting 30 people for a BBQ dinner and was unable to cook the meat fast enough. replace the BBQ it is worn out. I had to cook the chicken in the oven. This is the third time that we've stayed at Pendray House. It's a beautiful location and close to our family and a very enjoyable experience. We Celebrated christmas with 17 family members. It was a magical evening and the house accommodated us very well. Very clean and an amazing view. Management company was very attentive and responded quickly to any queries. Lovely location for walking . Thank you for your review of Pendray House. We are happy that you had such a good time with your Christmas Celebration. We look forward to having you stay with us again in the future. This property is absolutely gorgeous! A fantastic place for our wedding party to stay, plan and relax during our wedding week! Thank you for your review of Pendray House. We are thrilled to hear you had such a great week! We look forward to having you stay with us again in the future! This property was great for our three generations that gathered to celebrate Great Grandma's 90 birthday. We all had enough breathing space that we could live with 4 teenagers for a week!! We loved the big crib board so much the kids organized a tournament. My Grandkids were surprised when I didn't give the place a full 5 stars. Then I realized that it is not 5 stars in furniture and finishes, but it sure is 5 stars in comfy, family, kick your shoes off ENJOYMENT!! Great house. Our kids loved walking down the steps to their own private tidepool. So many beds allowed each to have their own for the night and not share a queen. The internet didn't work when we arrived but it was a blessing because we spent more time enjoying the beach and playing games as a family rather than watching TV. It should be back up by now. One of the upstairs couches was a little wobbly (but clean) and may need to be replaced down the road. The piano could be tuned but was enjoyable to play. We felt very comfortable here and the kids said they want to come back every year! Very satisfied and glad we came. Much better than any hotel. Having a full kitchen allowed us to cook in the morning and evenings with ample seating and a great private ocean view. Cast iron skillets and hot cocoa in the cupboard made it feel like home. Having just completed our second stay, we are prepared to say "We love Pendray". We were a family group of 15 over three generations and Pendray House is a perfect place for a family extended-weekend stay. This home was very clean, well kept, management was very easy to work with and pleasure. The house is perfect for a large family with children. We were two families with 7 children combined and this home was everything we needed. The beach and water front had incredible views and made our stay very relaxing, even with that many kids. We would stay here every weekend if we could! Thank you for your review of Pendray House. We are happy to hear that your stay was so fun with all of your family. The beach here is a very relaxing atmosphere. We look forward to having you join us again in the future. Family gathering to say good bye to our parents who both passed recently. Originally from Victoria area so was a great weekend to celebrate there lives. Thank you for your review of Pendray House. Sorry to hear about the passing of your parents. We are happy to hear that the property was such a good fit for you. We look forward to having you stay with us again in the future. A Gem on the Ocean! The location of the Pendray house was amazing. Our group of nine women loved sitting on the deck overlooking the ocean or strolling the beach. The 3 queen rooms were very nice with comfortable beds. 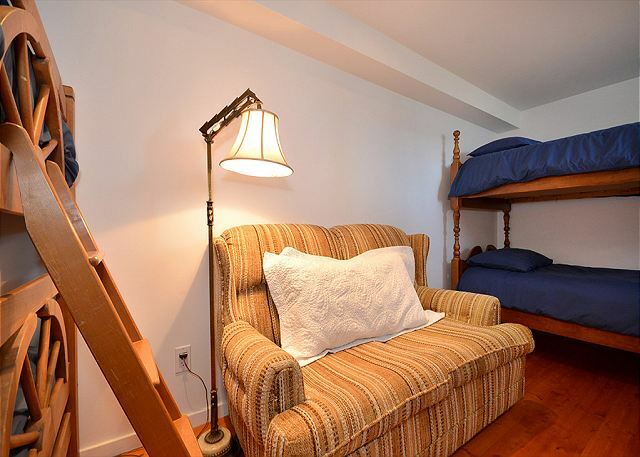 Downstairs bunk beds were adequate. Bathrooms were clean and well stocked. We cooked in most nights and it was great to have a BBQ, seating for 10 and plenty of dishes etc. Enjoyed exploring nearby Sidney, Island Beach Park and Butchart Gardens was close and worth the visit. A lovely 4 days catching up with old friends! Thank you very much for your review of the Pendray House. We are happy to know you enjoyed your stay. We hope to see you again in the future. Despite the persistent overcast, rainy weather this Spring (approximately 8 days of sunshine during our six week stay), we grew to enjoy Pendray House very much, especially the cozy fireplace to warm a chilly, rainy day! The cottage is steeped in history and contains interesting memorabilia and books to read. The ever changing scenery on the water was delightful & proximity to our family a bonus! We hope to return to enjoy a summer experience on the Island. Our suggestions for improvements have been submitted to Manager, Kari Osselton, who has been very helpful in addressing our concerns. thank you for your review of Pendray House. We have passed along your suggestions of improvement to the homeowners and actions are in place. The fireplace on cold days is certainly a treat! If you are wanting a summer stay, we would be happy to assist you in making a booking. Any of our CSR would be happy to assist you in doing so. Overall our weeklong stay was very good. 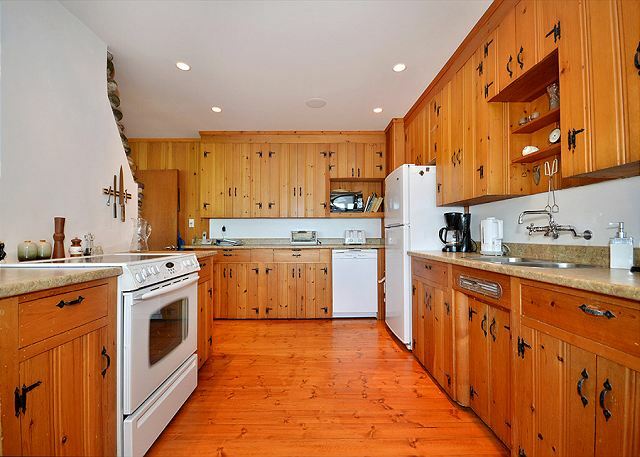 Loved the lay-out, large kitchen (well-equipped), superb setting, especially for children. Comfortable beds, efficient bathrooms, more than ample supply of linens, cottage temperature easy to adjust, effective. Dining room furniture was expansive and in good shape. (We were eight - adults and children). Good ease of access, services, facilities nearby. Approachable, engaging neighbours. Thank you for your review of Pendray House. As your review for cleanliness was lower than we would hope, our management team will be in touch with you to go over your rating. It seems otherwise, that your stay was good. We thank you for your booking, and hope to see you again in the future. Very nice location if one is ok being a bit removed from the city. Lots of sleeping space and great views from the dining room. 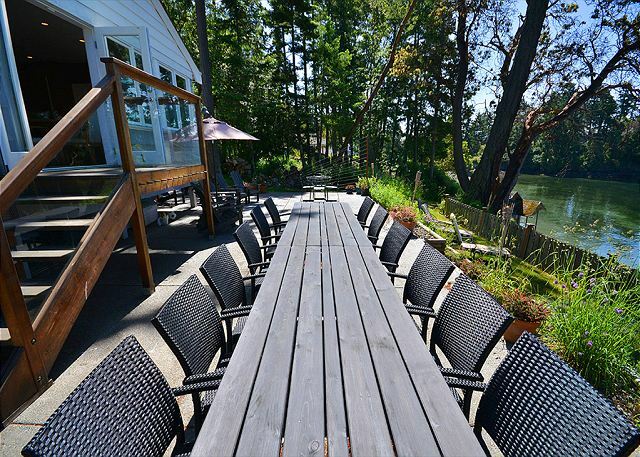 Excellent home to just hang out in and soak up the view and play by the water (even in the water in December). Good for older kids, games, big meals. Good fit for us. It was clean on arrival, rental quality cookware, lots of bathrooms, good beds, and great location. Driveway is a little tight but not really a problem. The binoculars could use replacing. Overall a good rental. Thank you for your review of Penday House. 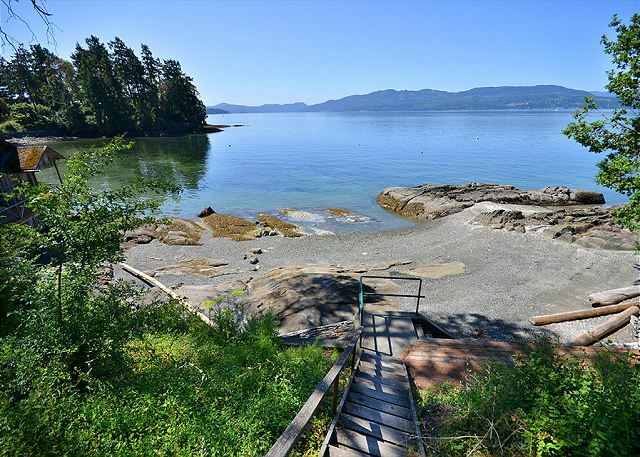 The location of this property is a great retreat from the city being right on the ocean. It sounds like this property was a good match for your family? We look forward to having you stay with us again. Overall the vacation with the family was great with a beautiful location. The house needs new pots and pans. It would also be helpful if basic paper supplies like dish soap, paper towels and kleenex were available. Thank you for your review of Pendray House. We will pass along your comments regarding new pots and pans to the homeowners. We are happy to hear your family had a great holiday. We look forward to having you stay again with us again in the future. The house surpassed the pictures. It was very clean and open and the view of the harbor was spectacular. The quietness and location were perfect to get away from the city. EMR communications were excellent in providing good customer service. Sidney is a great little town. The Butchart Gardens are amazing. Victoria is close enough to go for dinner at "10 Acres". Plenty of historical things in Victoria to see. Overall, it was an excellent experience and we look forward to coming back again soon. Thank you for your kind review of Pendray House. We are happy to hear your trip to Victoria was such a good experience. We look forward to having you stay with us again in the future! The Beach and Patio are awesome. The only negative was that multiple people in our party complained that the bed sheets were not clean. Thank you for your review of Pendray House. IF you had called us during your stay, we could have corrected the issue. The sheets at this property are being replaced - perhaps they were more tired than dirty? 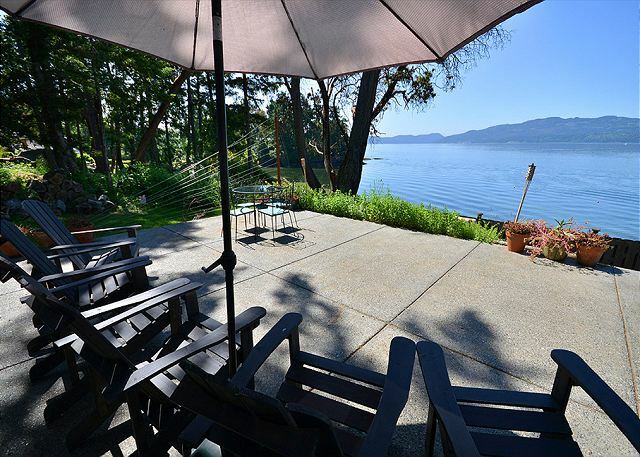 The beach and patio are certainly a wonderful part of this property. A little piece of paradise. The location was great, as it had a post card type view that was amazing. We saw whales, owls, seals and dolphins from the patio on multiple occasions. It had plenty of seating, so our party of 10 had lots of room to stretch out. The kitchen had far more accessories then most home rentals do with plenty of room to cook, and dine. However, it did have some areas that should be addressed. The living room sofas were seen as very uncomfortable, and the area was over flowing with unneeded furniture and dusty nic nacs. It was hot, the location was void of fans, and some rooms didn't have a few window screens. So we left with mosquitoe bites everywhere. Additionally, there were areas that really are needing a deep cleaning, that are beyond what a house keeper would be expected to touch between rentals. There is a old junker car in the front yard, and a old rotten empty shed. So the front view was less desirable. Further the grill is in bad repair and has to be manually lit. All in all, we did enjoy our stay. The amount of room was perfect for us. Looking through the available rentals with enough room for 10 plus, it was a easy choice. We could see our selves hoping to return one day. Everyone we spoke to was nice and helpful. Sidney BC, was a hidden gem. Further the short drive from the ferry and airport was excellent. Thank you for your kind review of the Pendray House. We are very happy to know you enjoyed your stay. We have since provided additional cleaning support to the property because we want all guest to know they are entering a spotless property. We have taken some of your concerns to the owner of the property to address. We hope to see you again in the future. Our four kids, 7 to 12, never got bored searching for sea creatures at low tide. Thank you for your review of Pendray House. The beach is certainly a great addition - allowing for sea creature discovery at low tide. We hope to see you again in the future. EMR staff was waiting when we arrived. We had one small issue early on and EMR were on it right away. Beautiful cottage setting. The property was a bit tired looking but fit the cottage appeal. Great beach access perfect for groups with kids. Our granddaughters spent many many hours exploring the beach and water. Accommodated our group that had people from 7 to 87. Large patio with huge table and lots of deck chairs was our favorite spot. Great bird watching. Easy access to Sidney and Victoria and all the sites in the area. We would definitely rent this property again. Thank you for your kind review of Pendray House. It sounds like you enjoyed your stay. We look forward to having you stay with us again in the future! 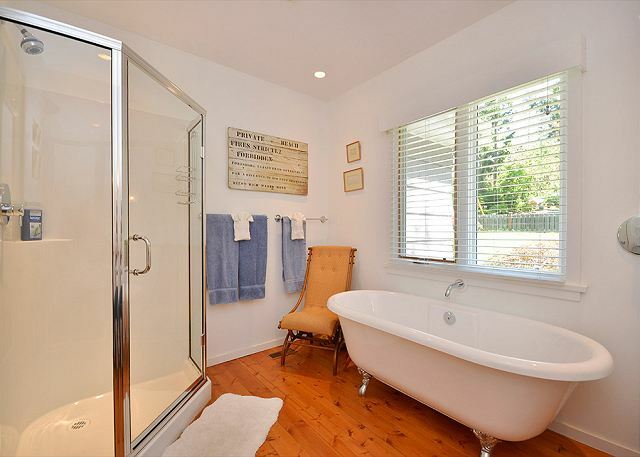 This property has an amazing 'homey' feel to it. 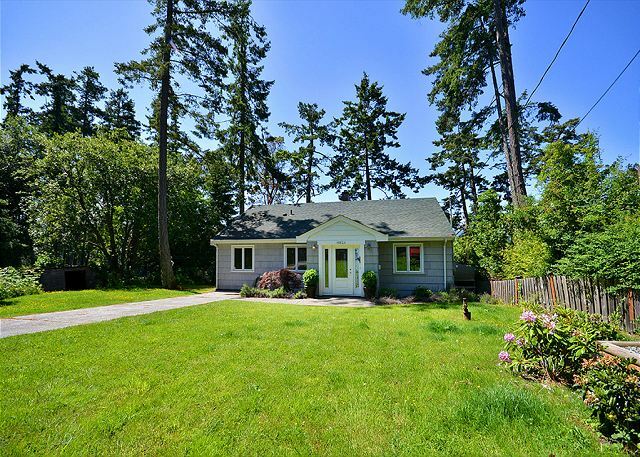 This property is less than 5 minutes away from Victoria BC International Airport, less than 10 minutes to Sidney by the Sea, and about 30 minutes away from downtown Victoria BC. We were able to see so much during our stay and we always looked forward to getting back to the house. Had my coffee in the backyard every morning watching the birds - humming birds, herons, osprey, bald eagles, woodpeckers, and rabbits running through the yard. So peaceful, relaxing, and everyone in the party was happy. Thank you for your kind review of the Pendray House. We are very happy to know you enjoyed your stay. We hope to see you again in the future. Our guests gathered at Pendray House for 4 nights to attend our son's wedding and travelled from the USA and England. 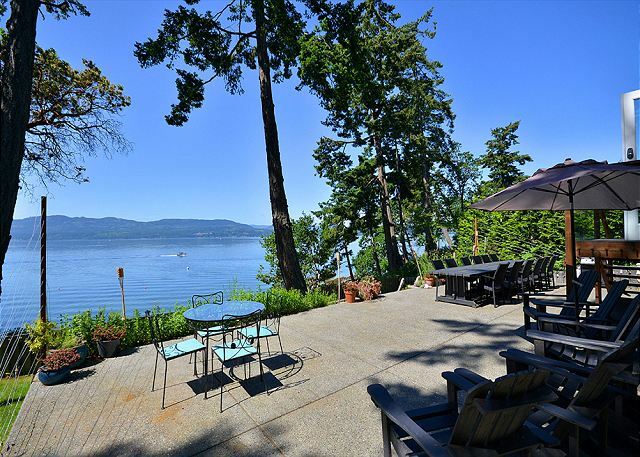 We knew it would not be easy to accommodate 14 adults when we started our search for a vacation rental in the Sidney area, but feel extremely lucky to have found this beautiful rental property right on the water. The rental procedure was easy and straight forward with good communication between us and the managers, who responded to questions and were very helpful on arrival. 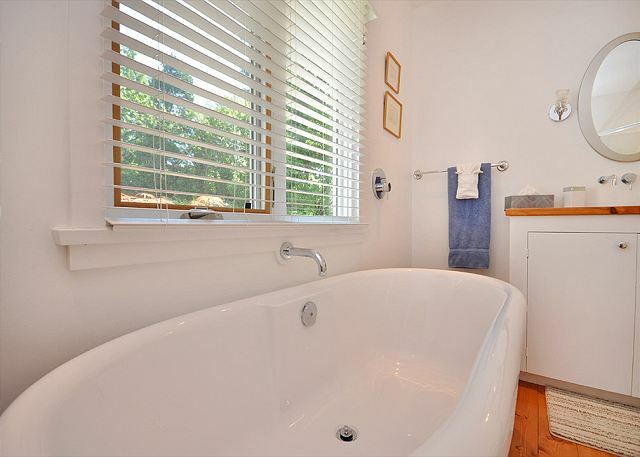 The house is quite spacious and has 3 very good bathrooms, with ample hot water and towels. The kitchen was large enough to cope with group breakfasts and lunches. The real advantage of this property though is the delightful outside space and access to the little beach. Our guests were able to spend a lot of time on the deck and beach, enjoying the incredible views across the inlet with the ever changing light reflecting different colors and moods on the water. The large table out there was used for lunch and dinner and would be the perfect spot for a BBQ. We saw an eagle and seals and enjoyed the tranquility of the neighborhood and easy access to shopping in Sidney. There is adequate on street parking outside the house and some little trails to take a walk and explore the coastline. This house was a perfect vacation rental and none of us wanted to leave. What a wonderful experience for our family and friends in beautiful British Columbia!! Thank you for your kind review of the Pendray House. We are very happy to know you enjoyed your stay and was a great place for your family to gather. We hope to see you again in the future. A beautiful house surrounded by beautiful scenery for my staff team getaway. The rooms were perfect for what we needed and the kitchen was well stocked. 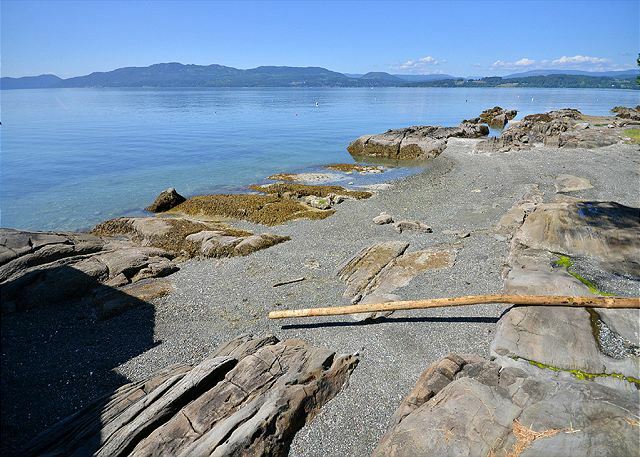 My team enjoyed having easy access to the beach and the not too far drive to Victoria for outings. Unfortunately, neither the WIFI or cable TV worked during the entirety of my team's stay and everyday there were phone calls asking for the owners which got a bit annoying. Thank you for your kind review of the Pendray House. We are happy you enjoyed your overall stay. We did our best to get the cable and internet working from the service provider. It is working now but had wished it worked during your stay. We look froward to having you stay with us again in the future. The house was great! Initially there were some issues with the alarm, but once that was resolved, it was excellent! The location is great! It was quiet, peaceful, and clean. Thank you for your kind review of the Pendray House in Sidney. We are happy you enjoyed your stay. We look forward to having you stay with us again in the future. Amazing house with an amazing view. It was hard to go home and not wake up to the ocean right outside. Thank you for your review of Pendray House. The ocean certainly is a wonderful thing to wake up to. We are happy you enjoyed your stay and look forward to having you stay with us again in the future! Great retreat for large group. We were 13 people and very comfortable. They have everything to make your stay relaxing and enjoyable. The only criticism would be that the WiFi was a little slow. Thank you for your review of Pendray House. We are happy you enjoyed your stay. Wifi can be slow at times, especially if there are several devices using the service at the same time. We look forward to having you stay with us again in the future! 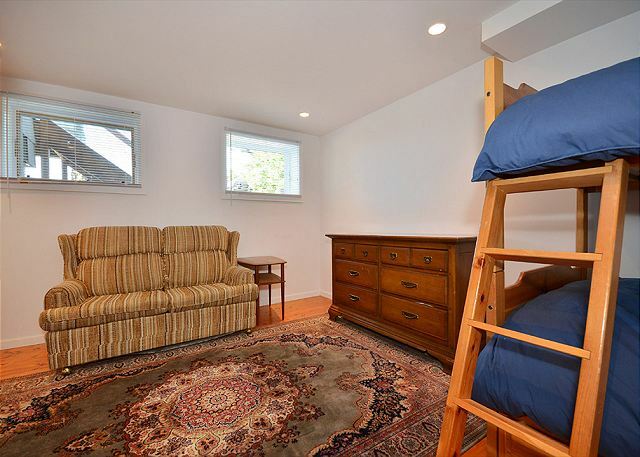 Great for large families as the furniture is well used, good supplies available with comfortable beds. Thank you for your terrific review of the Pendray House. We are very happy to know you enjoyed your stay. We hope to see you again soon. We were a Party of 7 adults and 3 children. We spend a very good time in this house, which is perfect situated to the sea. We recommend this place. We rented for a family gathering and the house was perfect for 14 of us (including 6 children). Great to have the outdoor table that seated everyone. Plus the generous ocean front on a quiet cove was an endless source of entertainment for adults and children. Thank you for your review of the Pendray House. We are happy that you enjoyed your stay, and look forward to having you stay with us again in the future. We (12 of us from 4 families) from Seattle area stayed for 3 nights in May. We enjoyed our stay a lot overall. Gorgeous view and sunset. The facilities were good. The house has a character. We did backyard bbq. Kids loved playing in the rocky beach. Only negative things I can think of: WiFi too slow, microwave oven too small and under-powered, and some of the cooking pans are too worn out. Thank you for kind review of Pendray House. We are happy you had a great time! A small microwave will have less power. We will check the cooking pans, and if replacements are needed, we can take care of. We hope to see you again in the future! Enjoyed the row boat crabbing and oyster fishing with our brother in law from the area. Thank you for your terrific review. We are glad to know you enjoyed your stay. We hope to see you again in the future. Beautiful home, stunning views, excellent accommodation! This house was great for our family of 9 adults who were visiting Victoria for a family wedding. The view from the dining room, living room and deck was stunning. The fireplace in the living room made for comfortable, relaxing evenings for visiting and the little extras throughout the house made it very inviting and feel like home. As we all arrived at different times from various points in Canada and the US, we truly appreciated the convenience of access to the airport and the ferry. Although there were only 3 queen size beds, the bunk beds in the 2 other rooms were big enough that for a few nights, young adults were able to sleep comfortably. Rather than buy gifts for everyone for Christmas we decided to rent accomodations for our family of 13. Was a wonderful interlude from winter(-28 degrees) in Central B.C. for five days!With a 15 passenger van we were able to explore the area and city;and both grandkids and adults found the beach fascinating! The weather co-operated too so all in all it was a "golden moment" in time for our family!I heard many times "Grandma,this was better than opening any gift! "We will savor our pictures and memories for a long time to come!!! Great house with lots of room. We had 4 young kids and 3 couples and most had their own space. 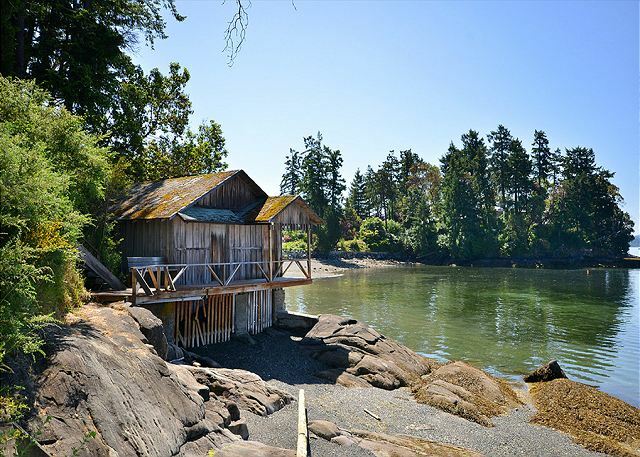 The location of the house is awesome for a quiet getaway with easy access to the ocean. The house is quite unique and different with its decor and items. This did become a little challenging with 3 babies. My only hope was to have more practical items- especially in the kitchen (ex. small knifes, oven mitts, dish clothes). Everyone enjoyed their stay- especially the little ones! We enjoyed our stay at the Pendray House. The view is fantastic. The area is very quiet and peaceful. It was a great place for our family to get together and spend Thanksgiving. Wonderful place to relax and enjoy the ocean either in it or just sitting looking at it. There were 7 of us and we all had a good time. We enjoyed our stay at the Pendray House. The teenagers loved the closeness to the water. We all want to go back next year. Thank you for taking the time to review your stay. We are happy to hear you enjoyed your stay. We hope to see you again next year. The house was located close enough to Sidney for shopping convenience and yet far enough away for early morning runs. The kitchen was well equipped with dishes, etc., and bedding and towels were abundant. Our vacation was relaxing and stress free! Our family of 14 adults, coming from all corners of the US, found this home a perfect accomodation for all of us. The outside dining table as well as inside dining was a wonderful surprise. The home was stocked with many games to play - we loved the Cribbage Board/Table. You made our 7 day reunion special. Thank you! The pictures on your site does not justify how beautiful this property is. 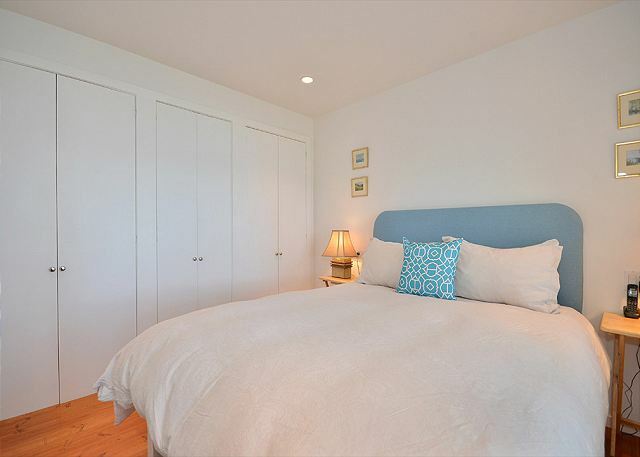 It's very spacious, clean, tastefully decorated and the view is breathtaking! The person that I spoke with EMR Vacation is very professional and patient with me, she have answered all the questions I have. Our greeter was very pleasant to deal with, we called her during our stay and she's always available to help us out. I'm pretty sure me and my family will ALWAYS be using EMR Vacation for our travels! We loved our stay at the Pendray house. With 10 of us in all, there was plenty of room to spare. The beach and deck were used every day (even swimming in October). The deck was great for entertaining friends. The master bedroom with ensuite were luxurious. We loved the community and would love to call the area home one day. We are glad you enjoyed your stay. Hope to see you again. Thank you for your kind review. Deep Cove is a hidden treasure. We have had a wonderful stay. We have enjoyed playing in the water at the beach, even in October. 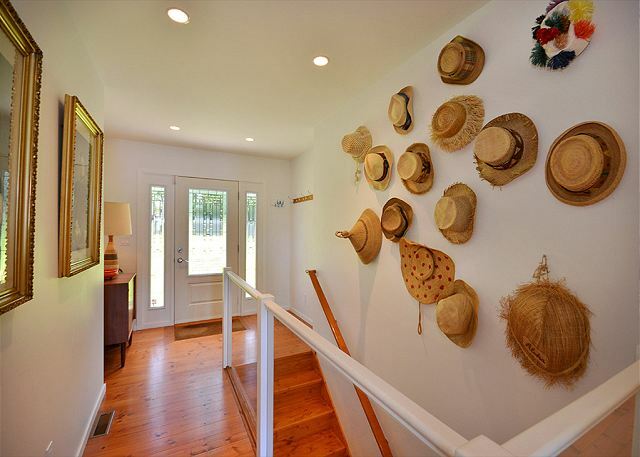 The home is cottage comfortable, and an excellent place for the whole family (or two). We have been inspired to keep our eyes open for properties for sale in this area. We would love to be back here permanently one day. We had a wonderful time staying at this beautiful property. The view was priceless the house perfect for our group of 7, everyone had their own room. One small disappointment, we were not able to use the deck at the bottom of the stairs by the water since it was being used to store firewood. We are gald you enjoyed your stay. Hope to see you again. Thank you for your kind review. We will look into why there was firewood on the deck. Normally it is stored in the shed at the side of the house. even though we had a large group, this setting allows lots of space and privacy and the setting is ideal for rejuvenation!! Thank you for your great review of the Pendrey House. It is great to know your group had a wonderful time there. We hope to see you again in the near future. we had a great time during our stay! lovely scenery and a very spacious house! highly recommended! Thank you for providing a great review of the Pendray House. We are very happy to know you loved your stay. Hope to see you again soon. Thank you very much for the great review of your stay. We have been hiring new reservation agents this past winter and it sometimes takes a couple months for them to be able to personally view each property we have in person. Thank you again. A wonderful place to spend time with friends! The place is beautiful, spacious and has a great feeling to it! The views are stunning, and it is close to shops and lots of good hikes. We appreciated the design, the lighting and the sound system. It is a great place for families. I highly recommend it. Thank you very much for your kind review of the Pendray House. It is awesome ocean front home and we are glad to know you enjoyed it. Hope to see you again soon.